Ep. 121: Extradition - what exactly does it mean? Eating very less? No. That's extra diet. Ooh, more parliament in Japan? No, that's extra Diet. Something a factory worker says about aluminium going through a cast? No, that's extrude it. Send a criminal back to the country where he committed that crime? Ah, now we're talking. Sort of. 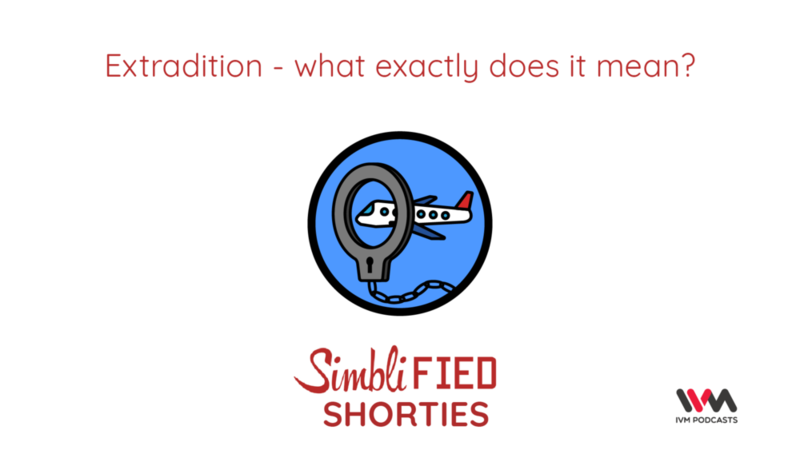 In this shortie (where Chuck forgot to insert all the above jokes), the trio looks at what extradition means, why it's not very easy to get its biggest superstars like Vijay Mallya and Mehul Choksi on trial. This is, fittingly, the first episode where Srikeit is being dialled in, now that he's an NRI. It's an Indian podcast - probably the best to come from Malad West - that takes things that happen around us, and deconstructs them in a language you can understand, often surmounting several puns and PG Wodehouse references along the way. We aim to make you appear smarter during parties, job interviews, and dates.